Humans are visual creatures. That could probably explain why guestographics have become one of the most effective, viral marketing techniques employed by digital marketers of late. So, what’s a guestographic? Brian Dean of Backlinko defines guestographics as a combination of three powerful digital marketing tactics: infographics, guest posting and link-building. He even calls it one of his all-time “favorite” SEO strategies. As an SEO strategy, using guestographics involves repurposing and republishing your infographic as a guest post on authoritative sites—hence, the term “guestographics.” And by simply writing unique intros to go along with your guestographics, you can get these visuals published on multiple sites with minimal effort. Need some inspiration and tips for executing your own guestographics campaign? Here are five case studies of guestographics done right. You can view the visual summary of this post below or click here to read a detailed explanation of each tip for promoting guestographics. You can imagine how challenging it is to generate buzz for a topic as boring as pest control. But SEO strategist Mike Bonadio did it via a cleverly strategized guestographic campaign, and his unlikely success was so interesting that it was published on Backlinko. Since “pest control” is a rather boring topic, Mike researched more interesting “shoulder niches” that he could use to kick-start his campaign. These topics were closely related to his main topic and, at the same time, something that his target audience would be interested in and care about. Mike created a mind map around “pest control” in which he identified the ideal “shoulder niches” that his topic pest control could piggyback off of, such as gardening, home improvement, do-it-yourself, etc. Once he had his list of “shoulder niches,” he ran a search for the top or trending posts related to each of these side topics. 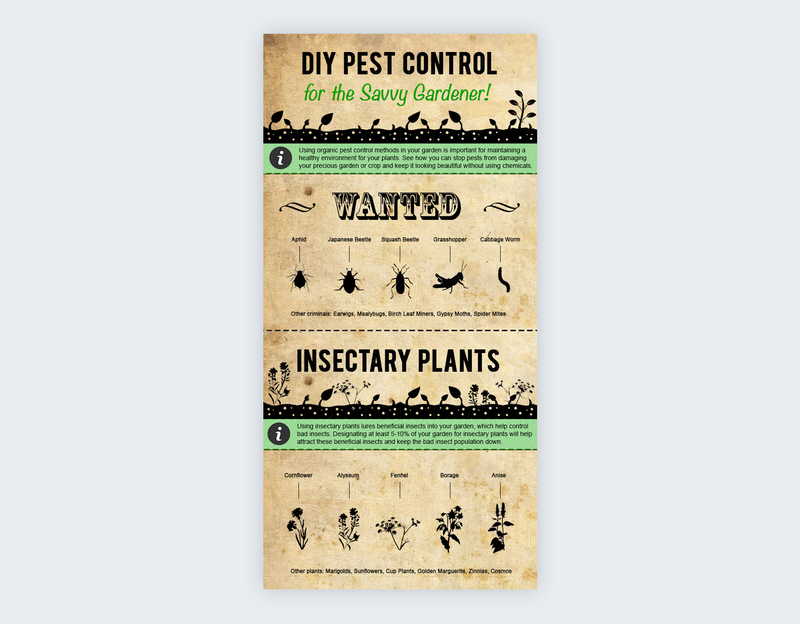 In the case of “gardening,” Mike discovered that most prominent gardening bloggers cared (and wrote) a lot about how to get rid of garden pests. Bingo. After Mike found that perfect overlap between his main topic and shoulder niche, he set out to create content about “natural pest control for gardeners” and this served as the foundation for his guestographic. He then created another mind map to help his designer flesh out his ideas into a finished infographic. 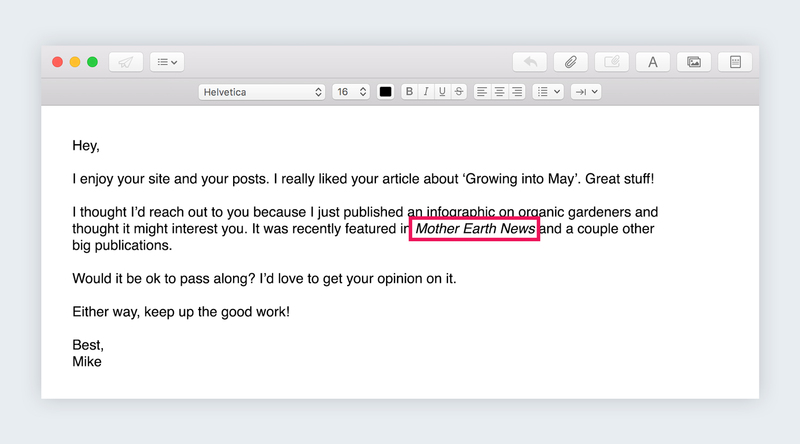 When it came time to promote his infographic, Mike made a list of the top 40 gardening blogs and bloggers using Google search, the content research tool Buzzsumo and blog directory Alltop. He then identified the right people behind these sites and sent his promotion outreach to as many as 97 prospects. Tip #1: A 2-part soft-sell promotional outreach is more effective than a direct one. 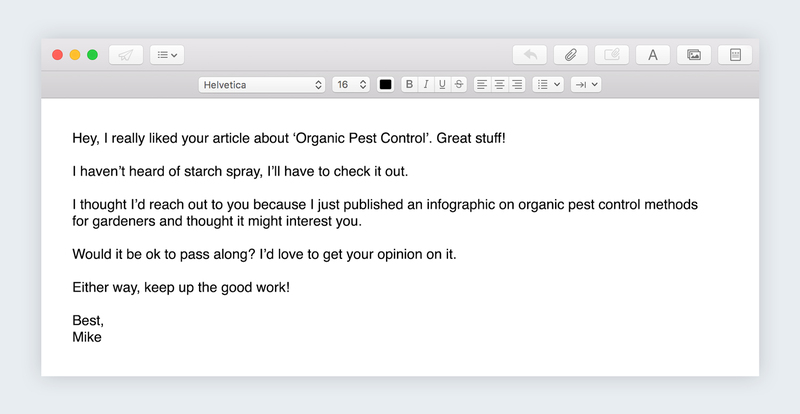 When Mike launched his guestographics promotion, he tested two types of outreach. One was a soft-sell “feeler” outreach, in which he gauged the receiver’s interest before sending his infographic over. The other was a more direct pitch, in which he immediately shared his infographic with the receiver. 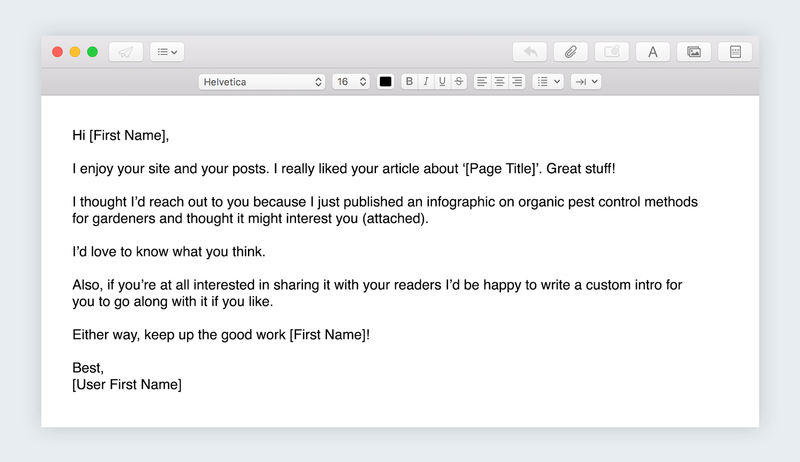 The “feeler” email got a 40% response rate compared to the direct pitch email, which only got 16%, so it was good to know for future campaigns. 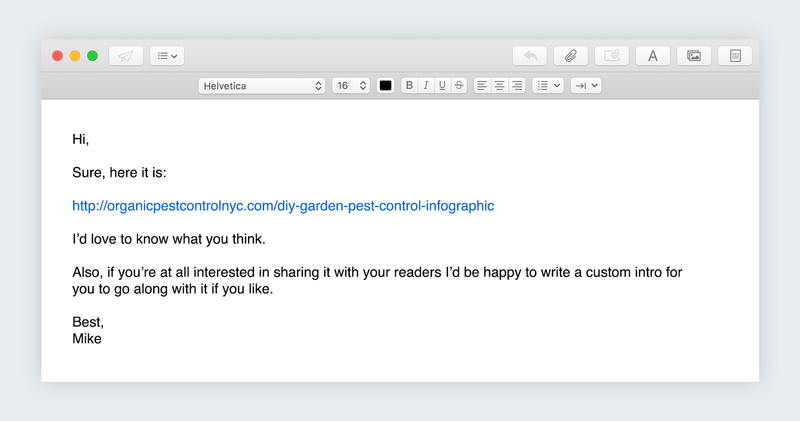 Tip #2: Offer to write a customized intro to go with your infographic. To prospects who responded favorably, Mike sent an email which contained a link to the guestographic and an offer to write a customized intro to go with it. Tip #3: Make sure that the customized intro must have a single backlink containing a branded or descriptive anchor text. Tip #4: If your guestographic has been featured on prominent sites, mention this in your outreach email to serve as social proof for the credibility of your infographic. 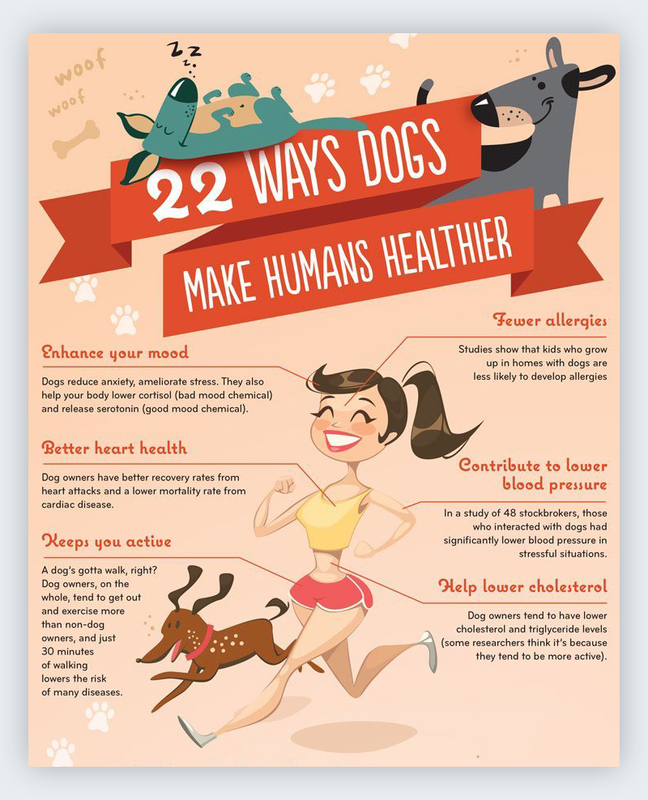 Since then, Mike’s infographic has gone viral and shared on sites like Flipboard and Pinterest. Needless to say, his pest control company client definitely got their much-needed traffic boost, and all this from a well thought-out guestographics strategy! When Perrin Carrell of HerePup decided to launch a pet blog, he knew he was entering a populated niche already dominated by blogs such as PetMD.com. Still, he persevered. To start off, Perrin chose a topic with high demand that, at the same time, was a topic that his target readers cared about. So, he googled “dogs and human health,” and stumbled upon an article by WebMD, “How Pets Can Improve Your Health” which received 228 referring domains. He saw that it had a decent amount of traffic but that it was still lacking, He could definitely write something better. He had found his Skyscraper technique opportunity. After this, Perrin did more research on the topic of “how pets improve human health,” curating the best sources he could find around the topic. 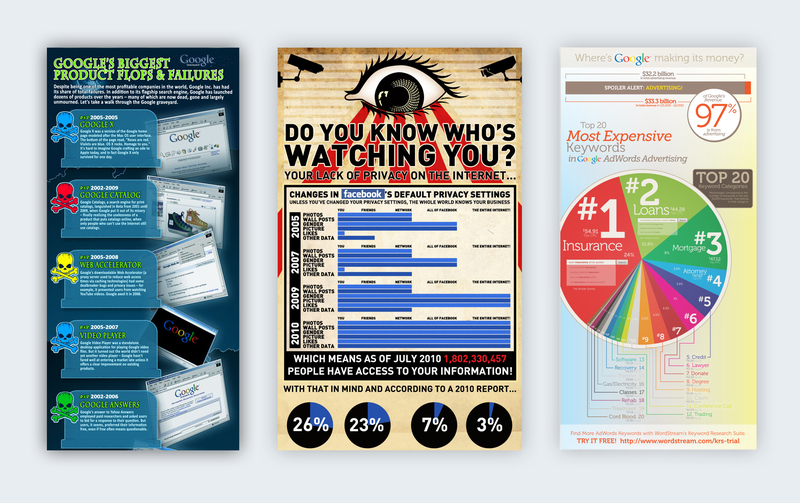 Finally, he got a freelance designer to capture all the data he gathered and turn it into an eye-catching infographic. 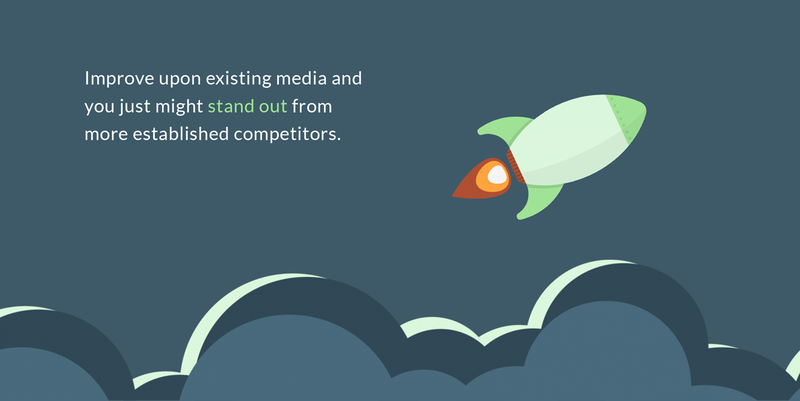 Tip #1: Improve upon existing media and you just might outdo your competitors. In Perrin’s case, he identified that the top content could be much improved with a lot more research and design, so he set about creating even better content than the ones he found from more influential sources. As a result of adding more engaging media in the form of a visually stunning infographic and promoting it to relevant sites, Perrin was able to break through and stand out from his more established competitors. Controversy can be great publicity. Take this guestographic case study featured on the Ahrefs blog, for example. 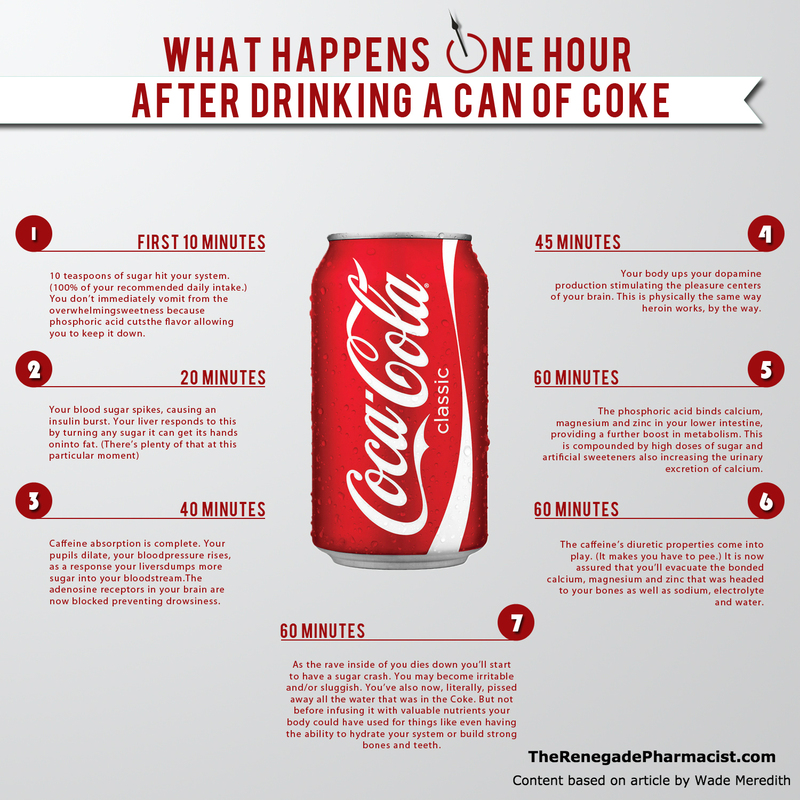 The infographic, titled “What Happens One Hour After Drinking A Can Of Coke,” was originally published on The Renegade Pharmacist. It was based on an 11-year-old article by Wade Meredith about how Coke can wreak havoc on your system within an hour of drinking it. Featured on the Huffington Post, Reddit, Yahoo, Telegraph, Buzzfeed, Examiner, Indiatimes, etc., which drove more backlinks and buzz. The Renegade Pharmacist chose a topic in their niche that evoked an emotional response. 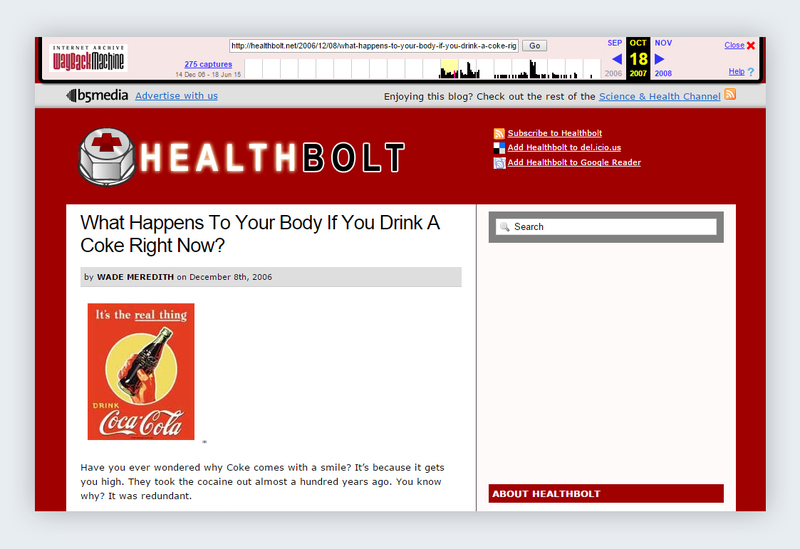 In their case, their infographic talked about how bad Coke is for your health, which sparked anxiety in readers. It took a swipe at one of the most powerful beverage manufacturers in the world, Coca-Cola, which largely contributed to the buzz and controversy that it generated online. Their infographic first gained momentum on the online forum Reddit. Its popularity snowballed, eventually reaching authoritative sites who lost no time linking back to the infographic. Even when the original post on Reddit was eventually removed, the infographic’s popularity had already soared, and the newer links from the authoritative sites remained. When known online marketers preach about an SEO strategy, you can bet that it works—most of the time. In one case study, Neil published an infographic on his blog that, at first, barely received any attention. According to Neil, his infographic did not get much traffic when he first published it on his blog. But when he contributed it to Entrepreneur Magazine, that’s when the magic happened. His guestographic ended up generating over 12K shares! If the infographic that you created does not gain any traction with your readers and followers, don’t give up. Instead, promote it to other sites. Get your infographic published on authoritative sites, especially sites where your target audience hangs out. As he was already a regular contributor to Entrepreneur, it was easy to get his infographic published on that site. 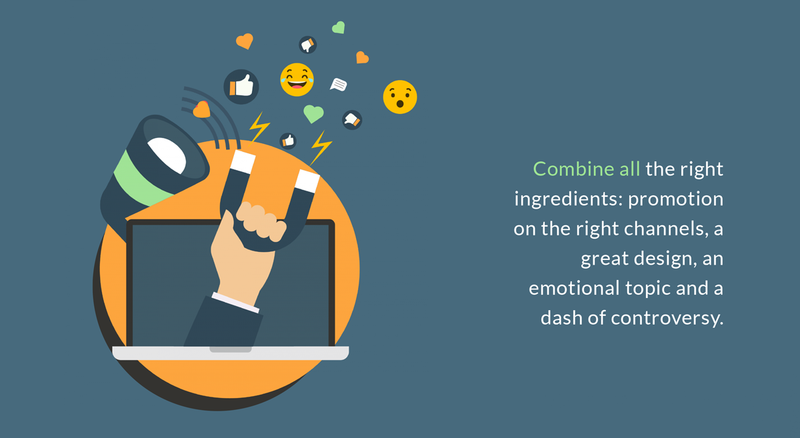 Data-driven blog posts are highly successful, as Neil Patel says. 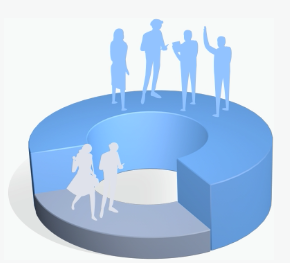 When you make a guestographic, make sure to add percentages, stats, case studies and other relevant data. Make use of data, research or studies published by credible sites in your infographic. So there you have it: four great case studies that prove the power of guestographics. As you can see, guestographics are one of the best strategies that you can execute to give your site a much-needed boost! Anxious to get on the bandwagon, but don’t have the resources? Then, I recommend you to try out Visme which lets you make infographics in minutes and with no design skills required. Great, right? Lack inspiration? 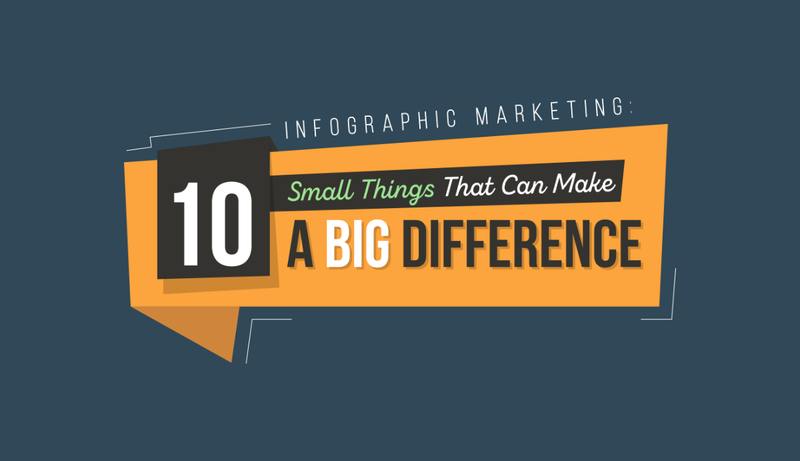 Then go ahead and check this massive list of 101 best Infographic Examples on 19 Different Subjects. So, how has guestographics helped your blog to grow? Let me know in the comments below! David Schneider is the co-founder and CEO of Ninja Outreach, an all-in-one influencer prospecting, outreach, and CRM software for marketers. Ninja Outreach also offers expert, Done-For-You outreach services for those who want to outsource their influencer marketing campaigns to professionals.